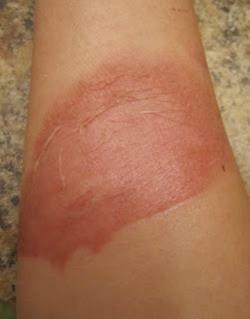 A steam burn is a type of scalding burn most often caused by exposure to steam from boiling water. Children are particularly at risk for sustaining this type of burn. Children often fail to notice the presence of steam or fail to recognize its danger when they are aware of it. As only a split second of exposure is required for a steam burn to occur, children may easily and quickly suffer a serious steam-burn injury. According to the American Academy of Pediatrics (AAP), steam burns may occur when a pot lid is carelessly removed or even when a wet pot holder is used. If your child has experienced a steam burn as a result of someone’s negligence, you may be entitled to compensation from those responsible. Contact child steam burns lawyer Jeffrey Killino at 877-875-2927 for more information about your legal options. Water boils at a temperature of 212 degrees Fahrenheit, and the temperature of steam that rises from boiling water is even higher. As a result, steam burns are often severe and third-degree burns may easily occur. In extreme cases, the skin may turn white rather than red and will be heavily blistered. Permanent scarring may result. Depending on the size of the affected area, steam burns can be fatal. If a child has suffered a steam burn, parents should make every effort to calm the child and seek medical attention if the burn appears to be severe or is causing the child continuing pain. A physician may prescribe medications for your child including pain relievers and antibiotics. A severe burn may warrant a visit to the emergency room. In some cases, a skin graft may be necessary. Children’s steam burns often occur as a result of someone’s negligence. Though adults are aware or should reasonably be aware of the dangers of steam, many fail to take the steps necessary to prevent children from sustaining such injuries. If an adult has undertaken the responsibility to care for a child, the failure to take the precautions necessary to prevent the child from sustaining steam-burn injuries may constitute a breach of the duty of care owed by the adult to the child. If the child suffers a steam-burn injury as a result of this breach of duty, the adult may be found liable for damages in an action for negligence. Supervisory negligence may occur on the part of a babysitter, daycare center, daycare center employee, or teacher. If a child suffers a steam-burn injury due to the inattentiveness of a babysitter, for example, the babysitter may be found liable for damages sustained as a result of the injury in an action for negligence. A daycare center may be found directly and/or vicariously liable for steam-burn injuries suffered by children entrusted to the center’s care. If a steam source is present in a daycare center, for example, and the owners and operators of the center are aware of the steam-burn danger posed to children by the steam source, the daycare center, as an entity, may be found directly liable for a child’s steam-burn injury if the center’s failure to exercise due care to prevent such injuries is determined to have been a cause of the child’s injury. A daycare center may also be held vicariously liable if daycare employees who bear the responsibility of supervising children entrusted to a daycare center’s care fail to exercise due care to prevent a child from sustaining a steam-burn injury. Children may also sustain steam-burn injuries while in someone else’s home for reasons unrelated to childcare. If a child is present as a visitor in another’s home and sustains a steam-burn injury while there, the owner of the home may be found liable for the child’s injuries in an action for negligence if the homeowner’s negligence is determined to have been a cause of the child’s steam-burn injury. Though most children’s steam-burn injuries occur in the child’s own home or the home of another, such injuries may also occur on other premises. A child’s steam burns may result, for example, from safety violations or other negligence on the part of owners and operators of business premises on which a child may be present. The owners and operators of such premises may be found liable for such injuries under the law of premises liability. In some states, the owner may be relieved of such liability, however, if the child was a trespasser on the owner’s premises at the time the injury occurred. If your child has suffered a steam burn as a result of someone’s negligence, call child steam burns lawyer Jeffrey Killino at 877-875-2927 for experienced and knowledgeable assistance with your case.